OP-ED: Why Chinese Investors Are Still Buying U.S. Properties & Will Continue To Do So – Lone Star Real Estate Investor's Expo – Join Us to Connect with Investors from Texas, California and Many Other States! Foreign investors made up a large number of real estate buyers in the past few years, but is their activity diminishing in our new political climate? Discover insight from a Top Producer with direct connections and years of experience with international investors. There has been much speculation that mainland Chinese home-buyers will pull back their California property purchases amid China’s economic slowdown as the country’s escalating trade war with the U.S. dampens growth. These concerns were fueled by reports from Beijing this week that China’s economic growth slowed to its weakest pace since the first quarter of 2009 with the economy growing at 6.5% year-over-year in the ’18 third quarter, missing expectations for 6.6% growth. California home sellers, take heart! As it stands now, the facts on the ground do not support recent forecasts of a Chinese pullback from the California real estate market. On the contrary – – At present, Chinese consumers still have ample means and appetite for California real estate. While data has shown that in recent years the Chinese economy, on paper, is slowing from previous levels, the Chinese government has been unable to detect and stop the flow of illicit money out of mainland China. Simply put, Beijing’s capital outflow controls have been ineffective in stemming the international transfer of underground money, a phenomenon that continues at a rapid clip. In recent years money flows originating from illegal sources in China has been on the rise. In the first quarter of 2017, for example, US$58 billion of capital outflows from China came from illegal sources, demonstrating the difficulty of identifying and measuring the flows. In some respects, this should not be much of a surprise. Due to the needs of corporations to maintain cash flow and liquidity, company executives devise ways to facilitate the illegal and undetected flow of money. This can come in the form of direct investments, sometimes as current account transactions and at other times it is the flow of plain old-fashioned underground money. Chinese regulators continue to be outwitted and overwhelmed by consumer demand originating from their soil. Undeterred by authorities, mainland families and individuals eager to buy their piece of the California rock continue their efforts unabated. All of this despite the slowing real estate market in the Golden State as well as recent trend of rising interest rates by the Fed. This momentum of Chinese home buying in California has continued notwithstanding predictions that stricter policies out of Beijing and growing uncertainty surrounding U.S. immigration and trade policy would lead to a slowdown in foreign investment. Another reason local sellers of homes will continue to find Chinese buyers is ongoing demand. The fact of the matter is that Chinese property hunters find California housing an attractive prospect. In a 2018 study by the National Association of Realtors, California amounted to 14% of all foreign purchases of residences in the U.S., up from 12% in 2017. This likely indicates a growing confidence on the part of foreigners in California real estate. Of the foreign purchasers of U.S. real estate, buyers from mainland China, Hong Kong and Taiwan topped the list of overseas buyers. The study found that Chinese home buyers elected to buy in California 38% of the time, a 1% increase from the prior year. According to Jonathan Lansner of the Orange County Register, non-U.S. citizens bought approximately 41,500 homes in the Golden State in the 12 months ending in March, 2018, marking a 9% increase over the past year. Of those purchases, China-based buyers accounted for 17,000 of these transactions, a rise of 3% from the previous 12 months. •The biggest consumers of U.S. properties in 2017 were from China, accounting for $31.7 billion worth of property, an increase of over $4 billion from 2016. •Non-U.S. citizens bought $35 billion worth of California properties in 2017, an increase of $8 billion from 2016. •Last year property buyers from the Asia Pacific accounted for 71% of foreign buyers in the Golden State. This was a 20% increase from just a year earlier. •Taking into account larger trends in the global economy, Asia has been the fastest growing market for wealth management since 2013, consisting of 45% of global inflows from 2013-2018. Asia-based asset managers reported US$66 billion in revenue in 2017 and this trajectory is expected to double by 2023, according to McKinsey. Currently, China alone represents 37% of assets under management in Asia, and analysts are forecasting that China-affiliated assets will grow at a per annum rate of 17% over the coming five years. Yes, a clampdown by regulators in Beijing is in effect. Nonetheless, it’s end result has been ineffectual due to both the undetected flow of money to the U.S. and continued Chinese demand for California properties. For the time being, Chinese homebuying in our state will continue in spite of China’s government-mandated restrictions and other factors, i.e., the current U.S. real estate market slowdown, rising interest rates and the U.S.-China trade war. A real estate veteran based in Orange County, Yumiko services luxury home sellers and buyers throughout Southern California and the Asia Pacific. Raised in Singapore and Japan, Yumiko is multilingual in Chinese, Japanese and English. She specializes in connecting California-based home sellers with buyers in mainland China, Hong Kong, Taiwan, Southeast Asia and Japan. 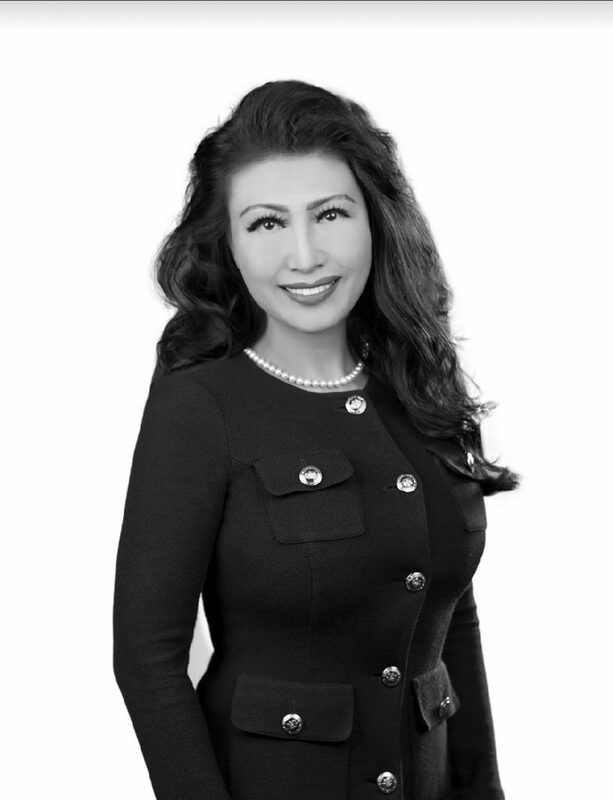 Known for her dynamism and work ethic, Yumiko has a long track record of helping her Orange County-based clients sell their exclusive properties and purchase dream residences. A few of her geographical areas of expertise include Corona del Mar, Newport Beach, Newport Coast, Balboa Peninsula, Lido Island, Dana Point, Laguna Canyon & Laguna Beach, Pelican Hills, Pelican Crest, Huntington Harbour, Irvine and Beverly Hills. Through her work, she has developed an expertise in the international transfer of funds between various Asia-based and U.S. financial institutions, and she regularly helps international buyers in transferring investments and remittances to the U.S. Yumiko has also put together extensive business relationships with numerous industries in California and high-end real estate firms in China. Yumiko’s training in Christie’s International Real Estate and as an affiliate of Luxury Portfolio International enables her clients to benefit from a peerless range of marketing opportunities in Christie’s offices around the world. With public relations initiatives tailored to each property, these services include the placement of elegant brochures in auction house lobbies, Christie’s window displays at major salerooms, events that bring art collectors to properties in addition to joint advertising programs through Christie’s International Real Estate. Luxury Portfolio’s inventory of properties exceeds $44 billion with a global reach that extends to 50 countries, attracting website visitors from over 200 countries/territories every month to local sellers. Working tirelessly on behalf of her clients, Yumiko achieves high sales prices for property sellers. Her years of experience have honed her skills in negotiating real estate transactions and mastering diverse aspects of real estate. She believes strongly in connecting people to achieve her clients’ goals, promoting sellers through her networks and in a variety of Asia-based publications as well as the Fox Business Network, Wall Street Journal and Forbes. Yumiko is devoted to volunteer initiatives with the Saddleback Church, the Dana Point U.S. Marines 5th Regiment Support Group, the Segerstrom Center For The Arts and to programs that foster entrepreneurship. She enjoys theater, classical music and supporting educational projects that improve understanding between East and West.